For a guy who generally sports casual tees and cargo pants, choosing the right grooms man outfit can be a bit of a nuisance. Every man looks great in a suit and tie. 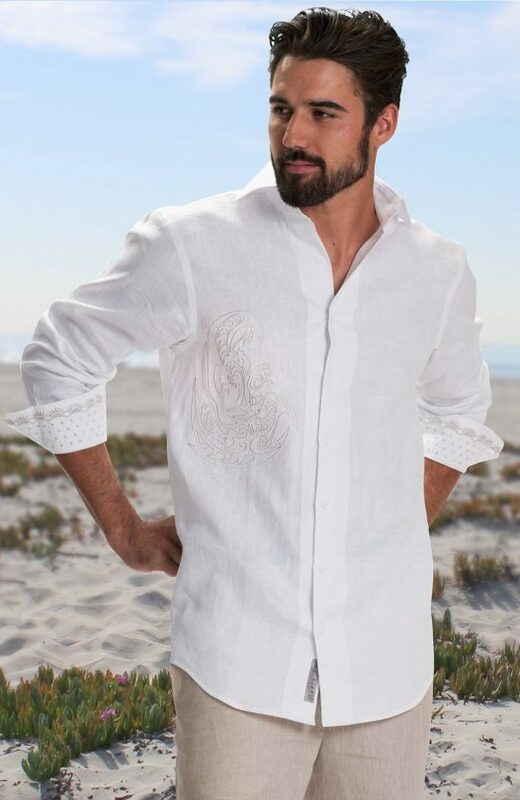 But to complement your outfit with the groom without stealing the show—that’s a real challenge! 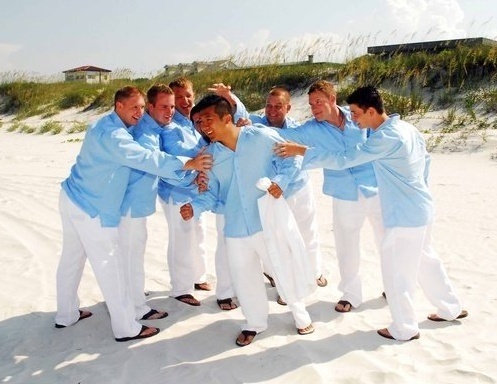 When it comes to beach weddings, the challenge is even greater as you’re expected to choose style over comfort, which can put a damper on your day. Wedding Tropics brings a quick and convenient solution to help you look effortlessly suave while giving you that comfortable-cargo feeling. 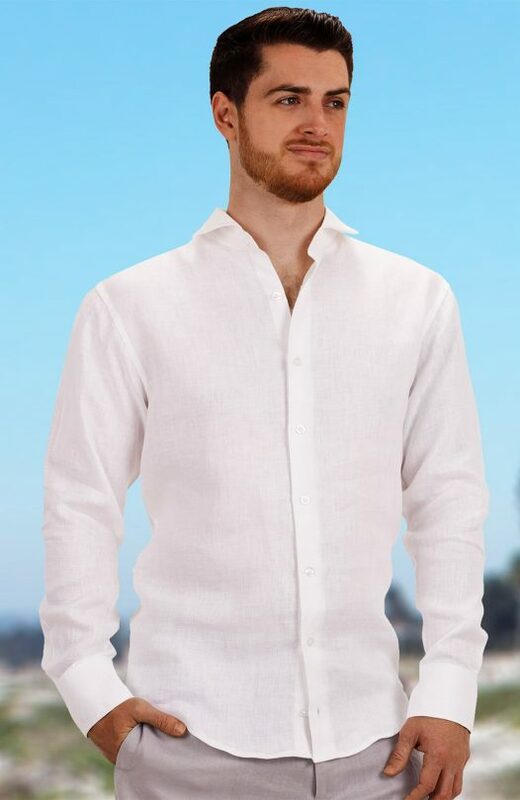 Offering 24 fabric colors in premium linen, we provide matching embroidery and designer groomsmen outfits to help you not just look but feel great! 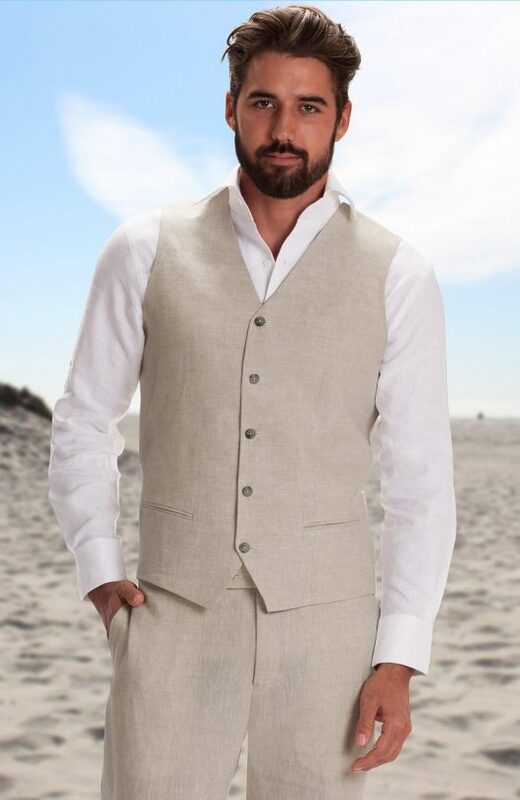 We carry a large selection of unique designer Beach wedding attire for the groomsmen to compliment the groom. 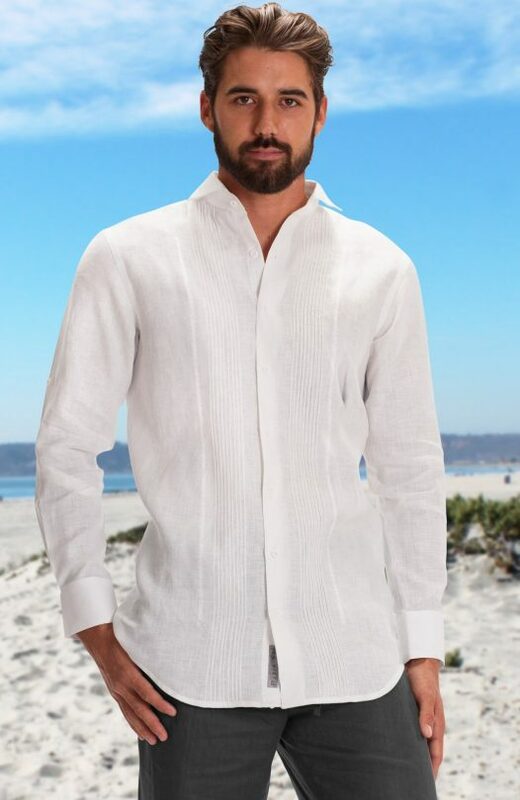 You get the option to choose from a wide variety of stylish beach wedding apparel that come in 24 different colors.